At the moment, Little Tokyo’s Japanese American National Museum is full of toys. Godzilla figures are posed as if they’re ready to storm out of their display cases and stomp through the exhibition. Ultraman, the Japanese television hero, makes frequent appearances. There are new toys here too, like Hello Kitty in a monster suit and loads of creatures painted in metallic-tinged colors, sometimes coated in glitter. But, there’s more to Kaiju vs. 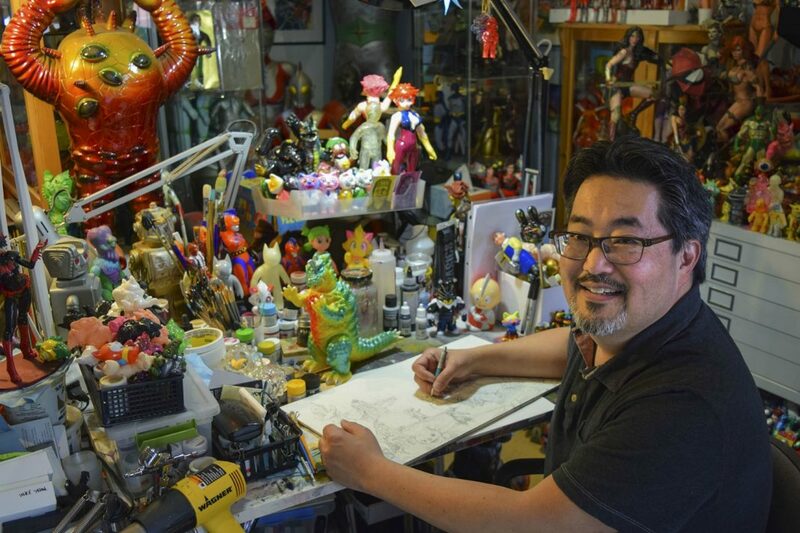 Heroes: Mark Nagata’s Journey Through the World of Japanese Toys than just the eye-catching figures. Nagata is a San Francisco-based artist who helms Max Toy Company. Designer toys, collectible pieces that are more like small sculptures, are his business. Vintage toys are his passion. Nagata has a massive collection of Japanese toys made primarily in the 1960s and ’70s, only a portion of which is on display at JANM. 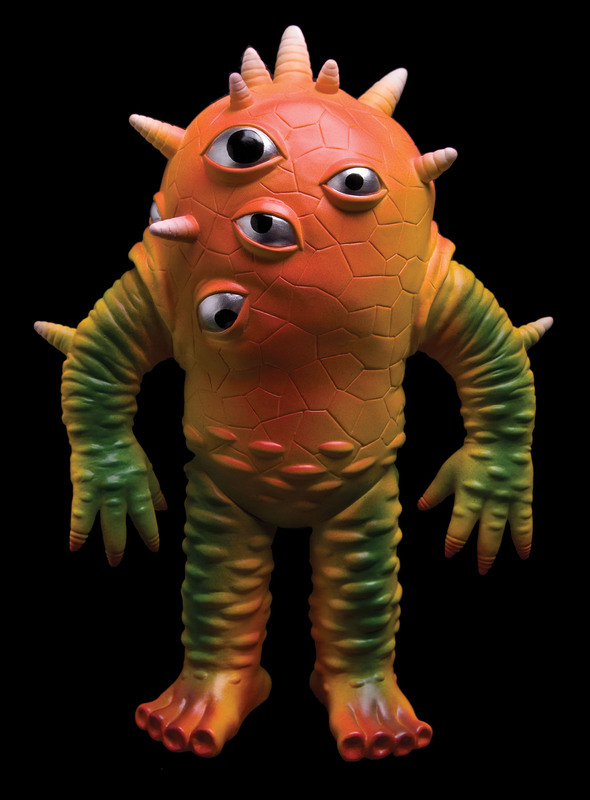 This is an era, he notes, often referred to as a “monster boom,” when frightening creatures and larger-than-life heroes were rampant in Japanese pop culture. Those toys profoundly influenced Nagata’s work. Before he made his own monsters, he was a commercial artist whose work included covers for the Goosebumps series of books. Some of that work is on display here too, and you can see the influence of mid-20th-century science fiction in the art for tales like Creepy Creations of Professor Shock and Deep in the Jungle of Doom. But Japanese toys also had a deeper impact on Nagata, and this exhibition explores how they helped him connect with his heritage and family history. During the three-year process of developing Kaiju vs. Heroes, Nagata thought a lot about his family history and how it shaped his life, from his interests to the tenacity that drives his career as an artist. Of the internment, Nagata says, “These types of events do have an effect on future generations.” His toys are evidence. Kaiju vs. 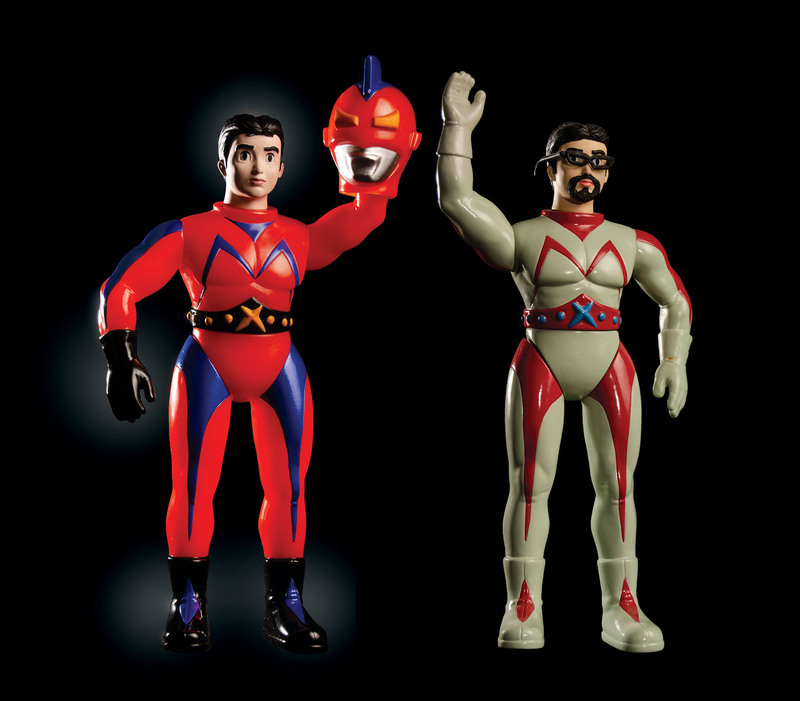 Heroes: Mark Nagata’s Journey Through the World of Japanese Toys, through March 24, 2019; Japanese American National Museum, 100 N. Central Ave., downtown.